Does your business create waste solvents that are adding money to your bottom line? Did you know that recycling your solvents could reduce your solvent purchases by as much as 95%, as well as dramatically reduce the hazardous waste you keep on site? One of the largest up-and-coming waste streams we have been seeing more of lately is Latex base wastewater. As more companies are turning to latex based paints within the paints & coatings industry, we have been working with many companies to turn this wastewater into a finished product which is often able to be disposed of within the municipal system. For so long, many companies have treated their used solvent and chemicals as waste. But what if you found out that you were simply throwing away something that still had great value? These companies find themselves in a situation where they are paying large amounts of money to throw away what they have long considered to be irrecoverable waste - contributing to greenhouse gas emissions and other harmful VOC’s in the process of disposal. 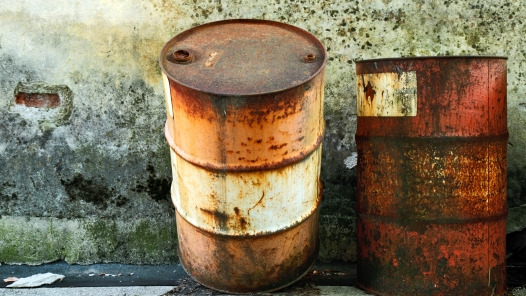 For companies which generate hazardous liquid waste, disposal can be a costly process. Not only does the waste take up space until it's picked up but it can also be a workplace hazard. 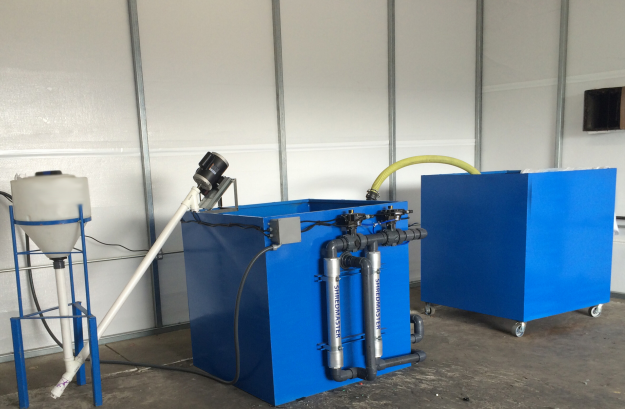 On the other side, recycling the liquid waste can be done easily and effectively, with no need for additional staff to operate and has a very simple workplace integration. What’s In My Industrial Waste Stream? Solvent recycling and recovery is one of the easiest ways to stay competitive. It helps you keep solvent waste costs low while improving your organization’s environmental impact. 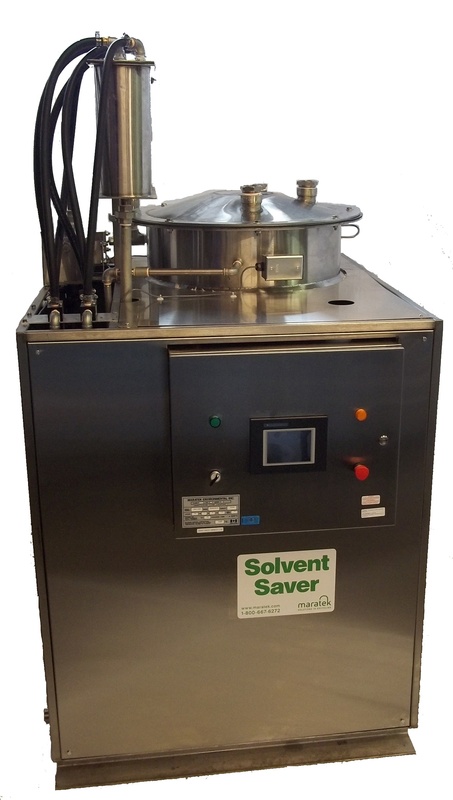 But is solvent recycling a viable solution for your business … or should you look into waste disposal instead? Proper storage and handling of hazardous waste containers is an important practice that not only promotes a safe work environment, but also ensures you’re following legislative requirements. The news has been full of hazardous waste disposal settlements and accusations regarding improper handling and disposal of waste and materials. In California alone, two companies, Sims Group USA, and AT&T have both recently agreed to huge settlements as a result of hazardous waste disposal investigations. We're often asked what type of Hazardous waste materials do we handle and pick up from our Toronto Area and Ontario clients? Even though we have Ontario Ministry of the Environment issued certificates of approval to transport, handle, receive and process various types of hazardous waste we still need to be clear about what hazardous waste we can pick up in waste disposal drums. Learn more by viewing our list of hazardous waste materials we can pick-up across Ontario. 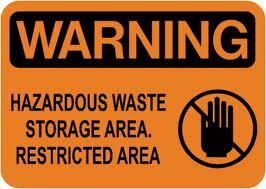 So what is hazardous waste? Let's start with a definition - "Hazardous waste is waste that poses substantial, or potential threats to public health or the environment." Keeping up with government and provincial regulations is challenging for many businesses. It takes just one complaint from a neighbor or disgruntled former employee to bring the regulators in and your license could be questioned. You have a legal and environmental responsibility to look after your hazardous waste products to the highest possible standards. You Can Choose One ... Or All ... Of The Following Promotions! Call Us Now at 1-800-667-6277 ext. 280 - Just mention the promo code Spring 2014 to qualify. If you use Blanket Washes, Gun Washes, Thinners, IPA, MEK and Acetone - we've got a recycling promotion for you! 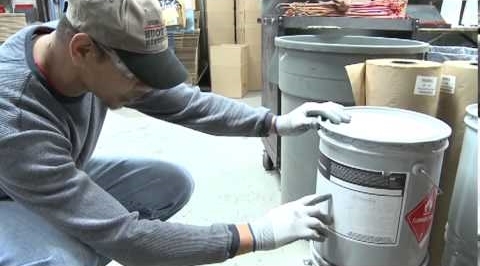 We're environmentally certified and approved to safely and responsibly handle solvents and hazardous liquid waste. Visit our website for more information about our additional waste management services, and subscribe to our blog to stay on top of the latest liquid waste recycling trends! 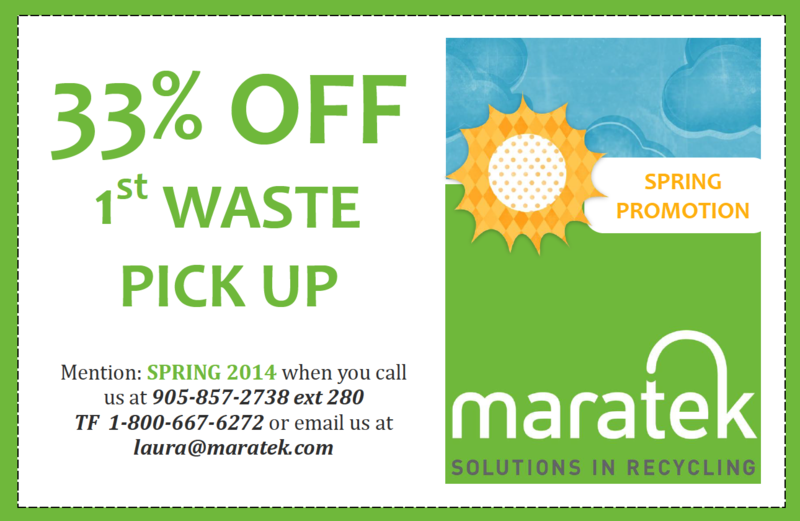 Thank you for considering Maratek Environmental. We look forward to becoming your trusted partner in environmentally friendly solvent and liquid waste solutions!